The second-largest Great Lake, Lake Huron, has a surface area of 23,000 square miles — slightly smaller than West Virginia — making it the fifth-largest freshwater lake in the world. Its name comes from early French explorers, who dubbed it “Lac des Hurons” (Lake of the Huron Indians). 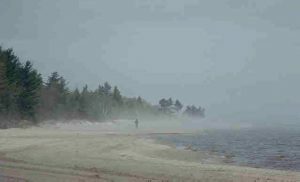 Bordered by the province of Ontario and the state of Michigan, Lake Huron measures about 206 miles long and 183 miles wide and has nearly 3,200 miles of shoreline. At 579 feet above sea level, it averages 195 feet deep with a maximum depth of 750 feet and has a flushing time of about 22 years. About two-thirds of the lake’s 51,700-square-mile watershed is still covered by forests, and the lake contains more than 30,000 islands. Lake Huron mainly functions as a conveyer within the Great Lakes system, carrying both water and ships from the other two upper lakes to the urban and industrial centers along the lower two lakes. 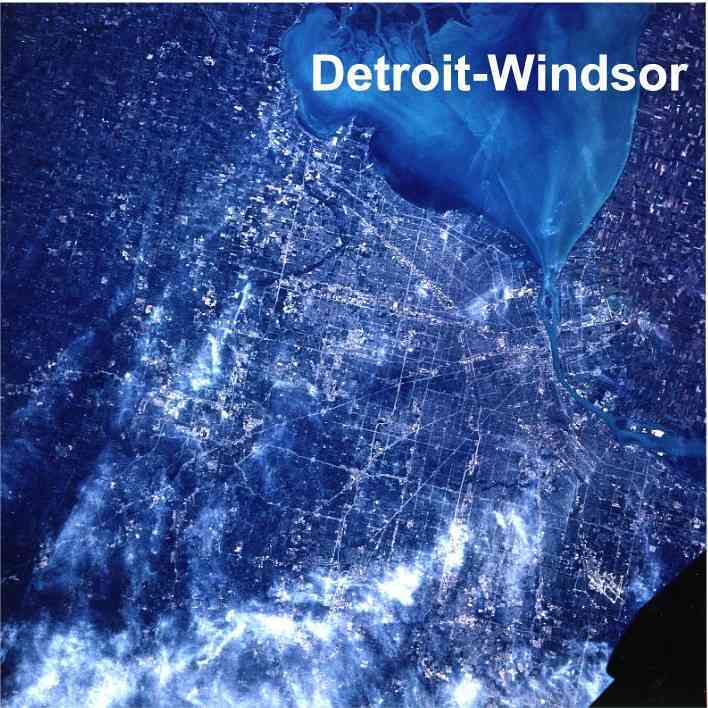 The region is a major U.S. forest industry area, and some of the world’s largest nickel reserves are located in Ontario just north of the lake. 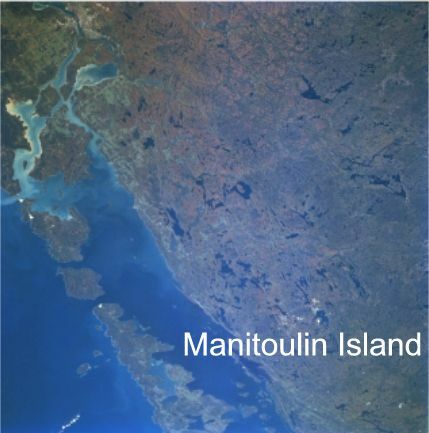 Along the northeast side of Lake Huron is Georgian Bay, created by the limestone spines of the Bruce Peninsula and Manitoulin Island. Though called a bay, it is so large that it has been nicknamed “the Sixth Great Lake.” The bay’s waters are nearly as unspoiled as those of Lake Superior, and its shoreline rivals Superior’s in rugged beauty. 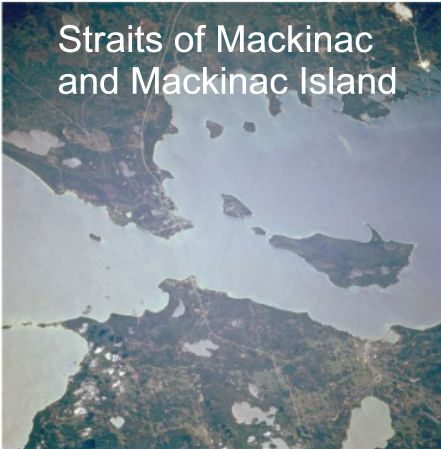 At the northwest corner of Lake Huron are the Straits of Mackinac, a deep trench of water that joins Lake Huron with Lake Michigan. 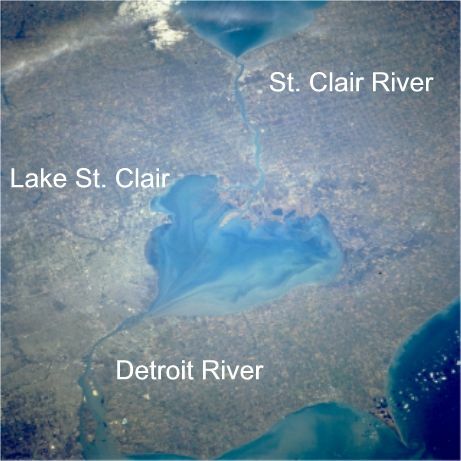 Because this deep channel equalizes the water levels of these two Great Lakes, Michigan and Huron are essentially two parts of the same lake. 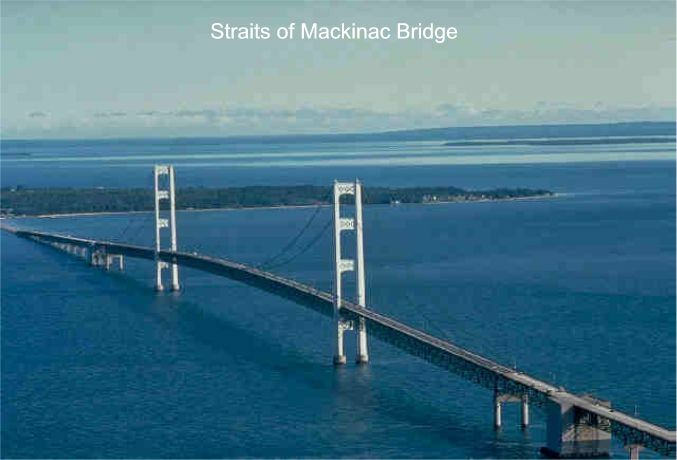 Spanning these straits to connect Michigan’s lower and upper peninsulas is the 5-mile-long Mackinac Bridge – the third longest suspension bridge in the world. At its southernmost tip, Lake Huron empties into the St. Clair River. 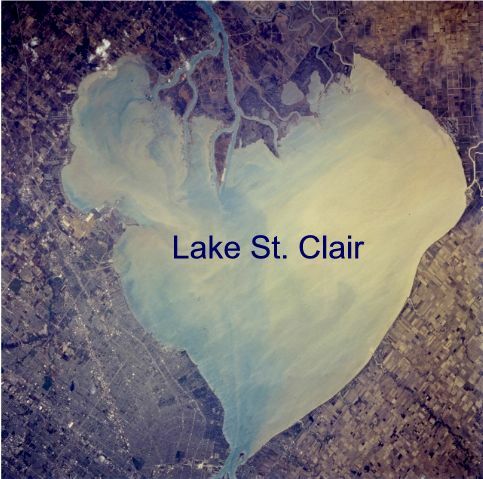 The water then flows through shallow, heart-shaped Lake St. Clair, out the Detroit River and into Lake Erie. The smallest lake in the Great Lakes system, Lake St. Clair has a surface area of 430 square miles but an average natural depth of just 10 feet. A 27-foot-deep navigation channel through the lake must be dredged periodically to ensure bottom clearance for large ships. The Lake Huron-to-Lake Erie waterway is more than 90 miles long, yet the difference in the elevations of the two lakes is only about nine feet. 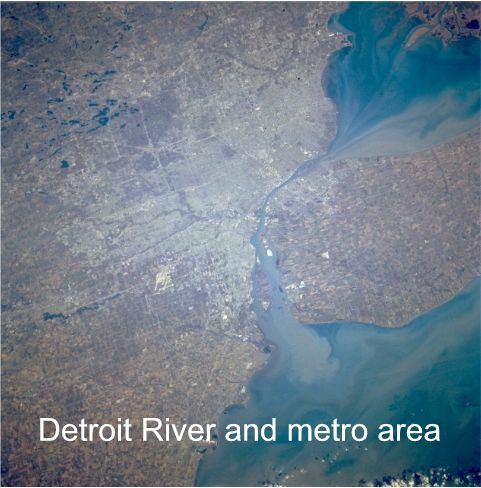 A sprawling industrial complex lines this waterway, including Port Huron and Detroit on the U.S. side and Sarnia and Windsor, Ont., in Canada.